After so much buildup for the final BCS Championship Game in history, with the long-awaited four team playoff coming next year, we were treated to a classic finish that gave the Florida State Seminoles the National Championship. Despite so much anger always being levied towards the BCS as a broken and unfair system, even the most jaded fan has to agree that there have been some amazing games under the formula. 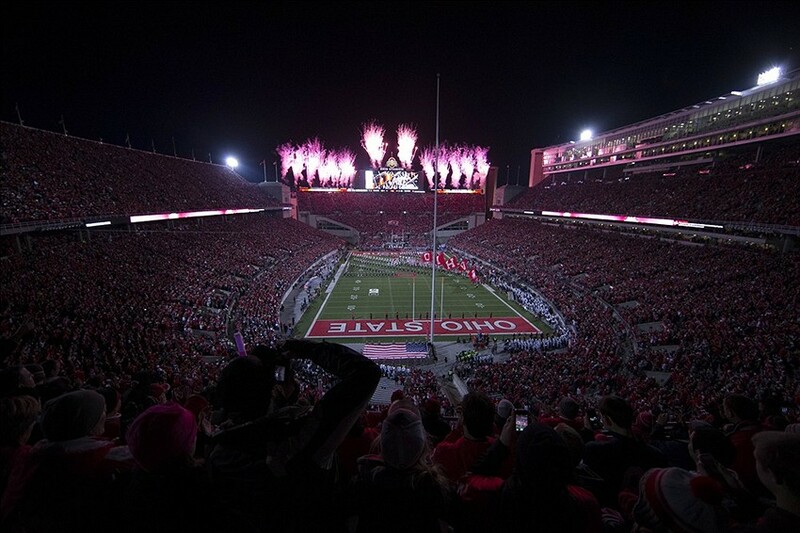 Miami-Ohio State. Texas-USC. Auburn-Oregon. And now FSU-Auburn. This was a fun one, with a great finish. The game seemed finished once Florida State returned a kickoff for a go-ahead 100 yard touchdown. But it wasn’t. Auburn methodically marched down the field, not afraid to run the ball right up the gut to take the lead once again. But there was still too much time left, so FSU came back with an impressive drive of their own, and the Heisman Trophy winner threw the game winning touchdown with 13 seconds left. There was no magic left for Auburn, even though there was the briefest of seconds when they started to lateral the ball on the final play of the game, when I thought that if anyone was going to be able to pull this off, it would have been this Tigers team. They had won by miracles twice before this season, and maybe…just maybe, they could do it for a third time. But the Seminoles shut it down pretty quickly. This was an entertaining game to watch, and as someone who is not particularly a fan of either team, all you can ask for is a game that is fun to watch. And this one delivered. Now to debate what the final would have looked like if this year, there would have been the four teams in the playoff. Would it have been FSU-Oregon, with an Auburn-Alabama rematch? The winners moving on? Or woudl the dreaded Ohio State have been given another chance against FSU? Or Michigan State? Or a two-loss Stanford team? I guess we’ll never know. Now that the BCS era is done, it was a good way to say goodbye. With a great game. Can You Bet Against the SEC? Well, I got my dream, in that Ohio State will not get to participate in the BCS Championship Game. I love it. As an added bonus, they won’t even get to play in the Rose Bowl, which is just a cherry on top of the delicious sundae of the Buckeyes losing to the Spartans last week. 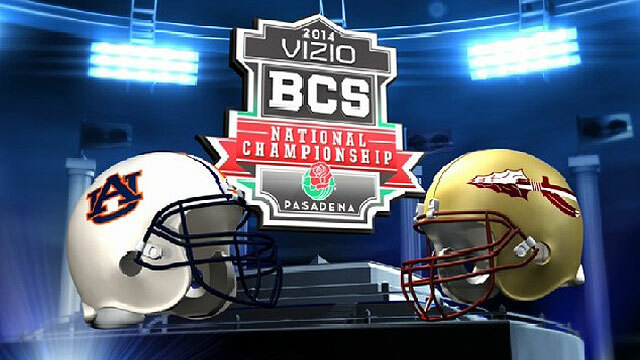 So our final is set…the Florida State Seminoles against the Auburn Tigers. This is a tough pick, in my mind. FSU has been ripping people apart this year. Ranked or unranked, they have decimated their opposition and look like an incredibly complete team. The Tigers have lost a game, but they survived the ultimate brutality that is playing in the SEC. You know, the conference that has won the past what, 7 national championships? Plus, they beat that little team from Alabama to get there. No easy feat, especially since the Mighty Tide looked like they were rolling to their 3rd straight championship. What an incredible beast of a team. Auburn has benefitted from two unbelievably lucky finishes to keep their path to the NCG on track. But, whatever, they won the games. As much as the Seminoles look like the better team, could I bet against the SEC representative? I guess I can. I’ll take FSU by 10. Being a massive fan of US College Football, I have cheered for the same group of teams for the majority of my life. Since I was a little kid, I’ve loved the Miami Hurricanes. Everything about them. The dominance of their national championship years, the often garishness of their orange and green uniforms, and especially the iconic white helmet with the simple “U” on the side. It was easy to cheer for them over the years, because they were such a successful program. Lately, it has been tougher, since they have definitely fallen on tough times, but it was great to see them rise into the Top 10 again this year, if it only lasted a little while before they imploded after getting whipped by Florida State. One team that has always been the focus of my undivided derision, however, has been the Ohio State Buckeyes. I hate their bland grey and red uniforms. I hate their lame pride stickers. I don’t like their coach, or any OSU players that have moved on to the NFL. I cheered their NCAA sanctions, and laughed when they picked the wrong year to take their bowl bans. I hate the way their fans and players call it THE Ohio State University. Like it’s being mixed up with another Ohio State University? And I hate that they are currently #2 in the BCS. I don’t want to see them in a National Championship game ever again. I especially hate that they beat my Hurricanes in one of the most exciting championship games in recent memory, especially since they were given new life on, in my opinion, a blown call. That interrupted what was a great ‘Canes dynasty, with a plethora of NFL stars on the roster. That game still makes me mad. To me, a one-loss SEC team should be in the NCG over the Buckeyes. And yes, this all comes down to their soft conference, and non-conference, schedule this year. If Auburn wins the SEC, they should play FSU. Heck, if Auburn loses, I think they should put Alabama back in the big game. It is no secret that they are a dominant team, and they are one fluke play away from being undefeated yet again. I think if the Crimson Tide were to play OSU, it would be an absolute decimation in favor of ‘Bama. They would shred them like they did Notre Dame last year. Not even close. I don’t think the Big 10 can roll with the SEC. So it pisses me off that it will probably be the Buckeyes in another National Championship Game, another chance for them to be embarrassed nationally when they get whipped by a superior program. I will like that, but as a fan of the game whose team is not in it, I will feel ripped off because there are more deserving teams out there, that should be there before the Buckeyes are. Or maybe it’s just me. I like seeing the SEC dominate. Because, let’s be honest, they are the dominant conference. I want to see the best teams in the best game, and I honestly don’t think we’ll get that with Ohio State this year. I’m sure that part of that is because of my eternal hatred for the team, but the more realistic part of me knows that because there are better teams out there that will provide a more entertaining game, and a better challenge to Florida State. I don’t think many people outside of Ohio would argue that an Alabama-FSU matchup would be more entertaining. All I can do at this point it cross my fingers and hope that Michigan State can pull off a huge upset and send the Buckeyes packing to some random other bowl game (probably still a BCS bowl, but it seems many of those have lost their value to me…maybe that will be a post for another day).